A Cute Ballet Slipper Menorah To Delight At Hanukkah Time. Made Of Ceramic And Painted To Perfection, It Will Give Years Of Dancing Joy During The Festival Of Lights Season. 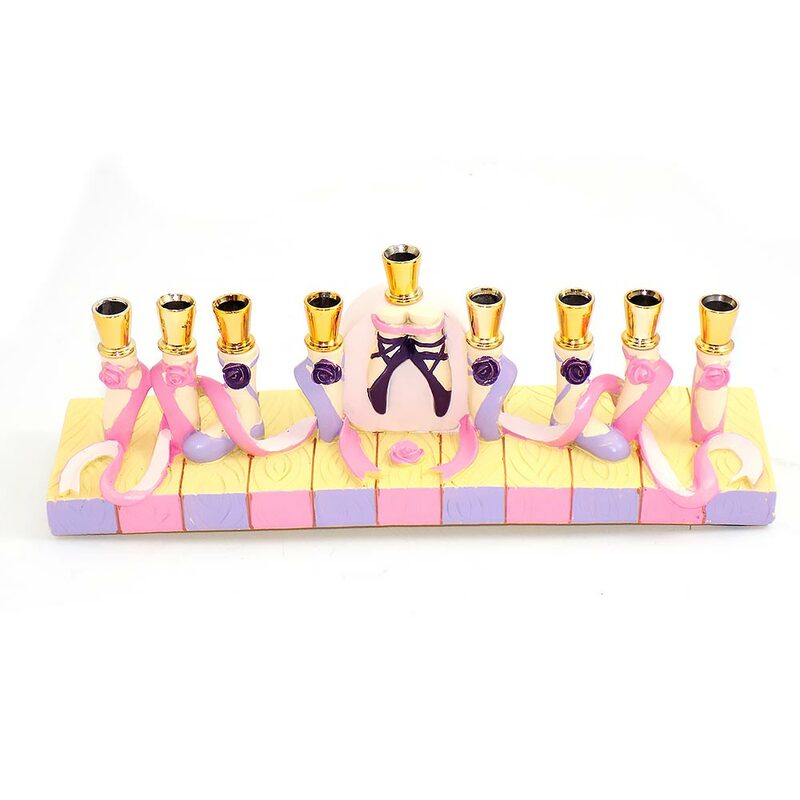 The Ballet Slippers Menorah Measures 10" Wide x 3" Tall. Our three grandchildren really enjoyed these gifts!